Holsters, Mag Carriers and Rigs designed specifically for Competition Shooters. Choose from two holster options specifically designed for competitive shooting: The Custom Action Sports Holster and The Custom Race Holster. 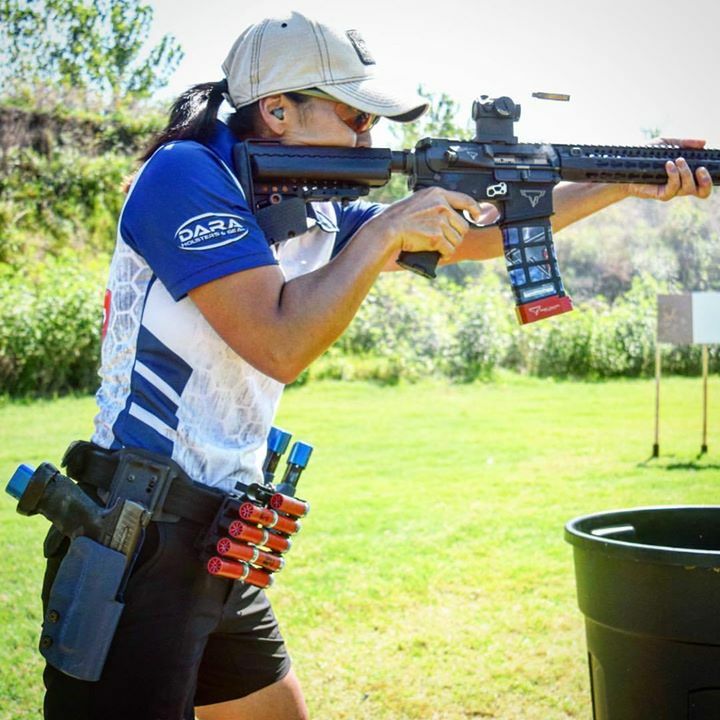 The Action Sport Holster offers a leg up on the competition with two different cut out styles around the ejection port. The ejection port cut out, exclusively offered with the Action Sport holster, allows for a quick and easy draw. Choose from cut "A", which is the full top and side cut out, or cut "B", which is only the top of the ejection port cut away. Another option for the competitive shooter is the Custom Race Holster. Made from .125" Kydex and fastened with Melonite coated hardened steel hardware, this nigh indestructible holster will give you the advantage over your competitors. Coupled with our Kydex handcrafted belt loops, this solid rig is ideal for any serious shooter. Our Holsters are IDPA Approved, but it is up to the customer to choose the ride height that is match approved.